The TCM theory of body imaging, or mirror imaging, posits that ashi points on mirror images of body parts can be used to treat injuries. 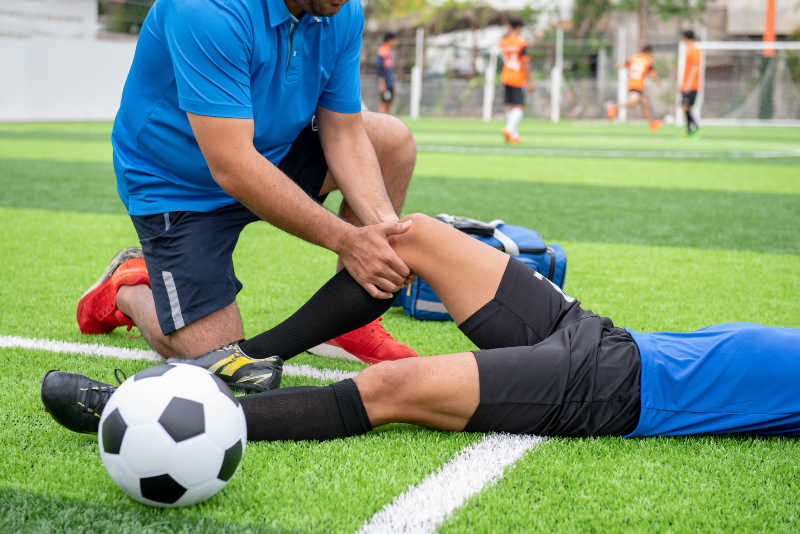 For example, an injury to the shoulder can be treated with points on the contralateral hip, and an injury to the elbow can be treated with points on the contralateral knee. Choosing points for treatment via body imaging has been a TCM treatment style for centuries. The late Dr. Richard Tan successfully developed this technique into an in-depth application and this technique is also discussed in Giovanni Maciocia’s book The Foundations of Chinese Medicine, 2nd ed. Many TCM practitioners use body imaging theory with TCM channel correspondences to help alleviate pain. It is not the author’s intent to discuss the theories and techniques that have already been established in mirror imaging acupuncture styles. However, the author invites the reader to examine a novel approach to using mirror imaging and channel theory, that is, through the lens of joint and muscle actions. The premise that the jing luo are energetic extensions of nerve pathways was introduced in Chapter One. Based on this premise, the author hypothesized that if channels have corresponding relationships, then the motor nerve pathways would have similar relationships. Because this book emphasizes the need to address muscle imbalance for the successful rehabilitation of many musculoskeletal injuries, the application of motor points with channel mirror imaging theory was, for the author, a natural extension of typical mirror imaging ideas. To test this hypothesis, the author has been experimenting with these ideas for several years. 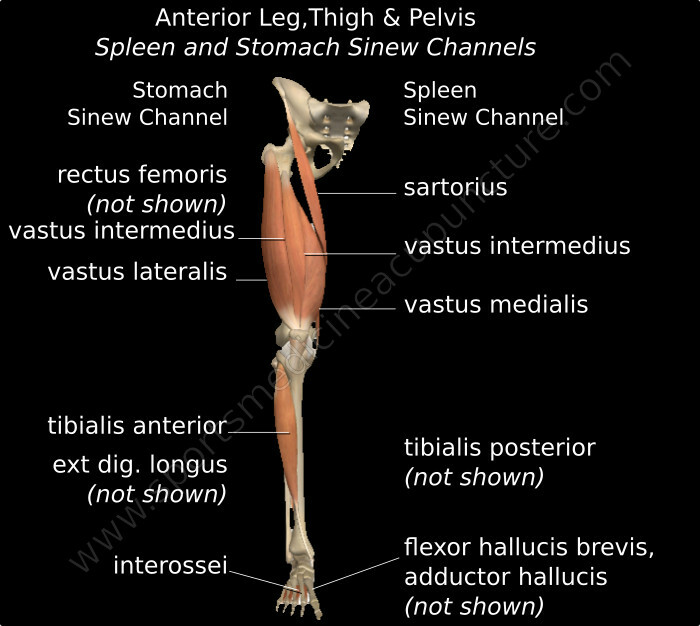 Clinically, the practitioner starts with the injured muscle or tendon and the primary affected channel. The practitioner then looks to a mirror image body part to identify an ashi muscle motor point that is associated with the injured muscle or tendon via a similar joint/muscle action and a channel correspondence. 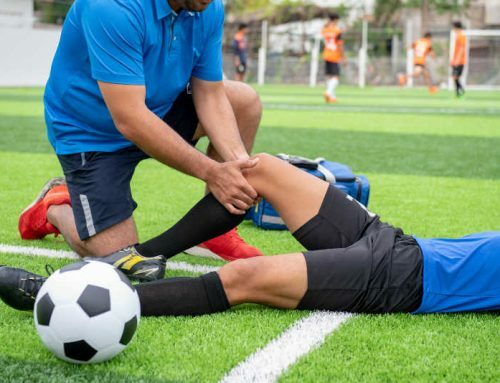 A passive or active functional assessment is used on a joint to determine a painful motion such as: flexion, extension, abduction, adduction or rotation. The practitioner identifies the affected channel where the pain is located. For example, lateral knee pain from iliotibial band friction syndrome (ITBFS) that is worse with knee flexion affects the Gallbladder channel. The practitioner identifies the mirror image joint on the opposite side of the body. For the ITBFS example, the contralateral elbow is the mirror image joint of the knee. The practitioner selects a muscle motor point near the mirror image joint based on two main criteria: 1) a muscle that has an opposite action than the joint action that is causing pain and 2) a motor point that is on or very near a paired channel of the injured channel via the six divisions or midday/midnight relationships. It is important that the practitioner identifies motor points that are tender to palpation. For the example of ITBFS, the practitioner can choose the motor point of the triceps lateral head or medial head, which are both located on the San Jiao channel. The triceps is an elbow extensor and it performs the opposite action of the painful motion, which was knee flexion. The Gallbladder and San Jiao are both shao yang channels within the six division relationships. As part of the assessment and before needling the motor point, the practitioner firmly presses the tender motor point while the patient performs the same joint action that caused the pain in the initial functional assessment. If the patient’s pain is reduced, the chosen motor point should be included in the treatment protocol. Motor points that are not tender are typically not effective in reducing the patient’s pain. At times, the effective motor point may be on a muscle that produces a similar action to the painful motion. In keeping with the same ITBFS example, the pain may be reduced by muscle motor point(s) that flex the elbow instead of extend the elbow. In this case, the biceps brachii (short head) motor point would be selected due to its location very near the Heart channel, which is related to the Gallbladder via their midday/midnight relationship. As another example of the application of motor points and channel mirror imaging, the following case involves a patient with supraspinatus tendinopathy. During the Painful Arc Test, the patient has pain on the Small Intestine channel near the supraspinatus motor point during shoulder abduction. Because this is a shoulder injury, the practitioner should look to the contralateral hip to find a corresponding point that decreases the pain. The adductor longus, on the opposite side of the injured shoulder, is chosen because its motor point is located on the Liver channel 3 cun inferior to LIV 10 (zuwuli). The Small Intestine and Liver are linked via their midday/midnight relationship. Needling the adductor longus motor point will usually reduce the patient’s shoulder pain substantially upon reassessment of the Painful Arc Test. There a many more clinically effective motor point combinations for this movement-based mirror imaging technique available in the soon to be released textbook Sports Medicine Acupuncture: An Integrated Approach Combining Sports Medicine and Traditional Chinese Medicine. Sign up for the Sports Medicine Acupuncture newsletter in the footer below to be contacted with details about the book release and for educational seminars. Thanks Matt! I currently have a new patient with ITBFS and will apply this technique and see what happens. Eagerly awaiting the book! 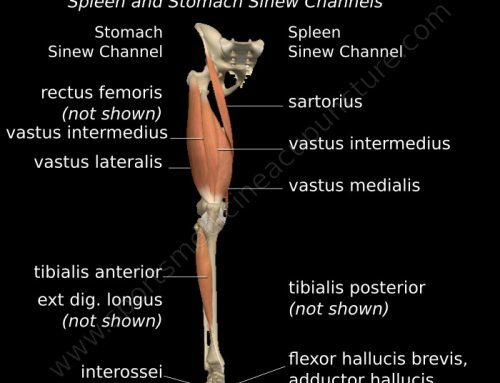 Balance method of any sort has never given me much success but more importantly I would like to know what reasoning there is behind these techniques from a MSK western standpoint or is it just….what works ..works? I agree, I never had much success either using what Richard Tan refers to as the balance method or any other traditional idea of mirror imaging. I do know that it works as he has many followers that swear by it. Treating distal points alone was not my cup of tea. However, linking the channels and using correct points on the affected channel and its correspondences has always been fascinating to me and I use this TCM-based method in all of my treatments. I like needling locally and linking the local treatment to the associated channels using key acupuncture points.. It was not until, I started playing with the idea of matching muscle motor points on muscle groups that are neurologically organized and facilitated during human movement, did I start to see a difference in results. Alone, this treatment helps but it is not the only treatment method that I use in a given treatment plan. The best example for me to give would be to use this motor point/mirror imaging protocol when linking muscle groups (and channels as explained in the article) to either take pain away during an assessment or to clean up residual pain that is left over after a treatment. This would be functionally assessed and treated. It is a useful “on the field” treatment strategy. How it works? Well, how exactly does acupuncture work. There are many theories however, after doing cadaver dissection for over 30 years, I can vehemently say, everything is connected in the human body and all tissues communicate and adapt react to any change. My guess is acupuncture at muscle motor points via mirror imaging to functionally related muscles is changing the myofascial sequencing and communication that may have been proprioceptively hindered due to muscle imbalance, pain and/or injury……and more. Because myofascia is up to six times more proprioceptively aware than in the muscle itself (Schleip, Robert), my guess is the acupuncture needle is removing obstructions in the channels via proprioceptive re-education. Wonderful insights. I shall make more attempts to apply them in my practice. Thanks Matt! I hope your book will also be available as an e-book or downloadable version. Looking forward to it!